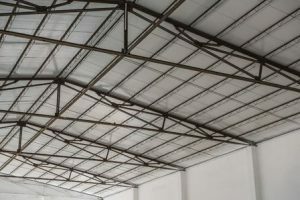 At the end of a long winter, there are myriad things businesses should do to maintain the exteriors of their buildings. They may want to bring in a professional landscaping company to remove dead plants and trees and replace them with new ones. They should also walk around their buildings and see if any cracks have formed in their foundations or their siding. However, one of the most important steps they can take is having their roofs inspected by a professional roofing company. During the winter, there are all kinds of problems that can pop up and affect the integrity of a roof. Windy conditions can blow shingles off it. Snow and ice can cause roof lifting and leaking. Water drains can become clogged with leaves that weren’t removed in the fall, and branches can leave damage behind when they fall from trees. 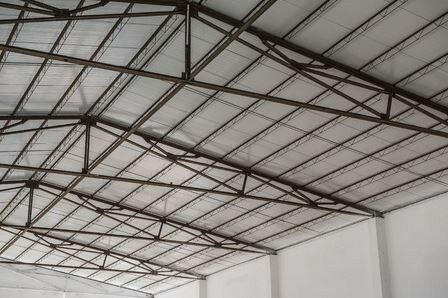 At first glance, the roof on a business might look nice, but there could be all kinds of underlying issues that could lead to further problems down the line. Once spring has officially sprung, you should call a roofing company if you are a business owner and ask to schedule a roof inspection. The company should be able to identify any problem areas on your roof and recommend steps you can take to ensure your roof is safe. By taking preventative measures, you could save yourself a lot of time and money in the long run, and you can prevent the winter weather from wreaking havoc on your business even as you prepare to head into the summer. Would you like to schedule a roof inspection? Ray Roofing Supply would be happy to come out to your business and give your roof a look so that you don’t have to worry about it between now and next winter. You should get into the habit of inspecting your roof at least once every year, if not more often. Call us at 330-452-8109 today to take advantage of our roofing services.